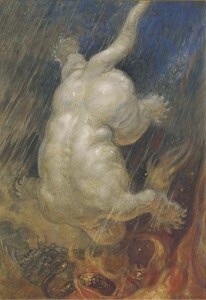 The explanation I would give, which many other conditionalists would give (in varying forms), is itself simple: John sees a vision where three beings are thrown into a lake of fire to be tormented for ever and ever, but the vision itself symbolizes the destruction of the things the images represent in real life. Of course, while this idea itself is fairly simple, to really give a satisfactory explanation of and defense of it would be lengthy. Fortunately, this has been done by myself and other Rethinking Hell contributors (for free! ).2Joseph Dear. The Bible Teaches Annihilationism (n.d.), http://www.3ringbinder.org/uploads/1/9/1/0/1910989/the_bible_teaches_annihilationism_1st_edition_pdf_version.pdf (accessed on December 19, 2015).4Glenn Peoples, “Why I Am an Annihilationist,” Right Reason, n.d., http://www.rightreason.org/articles/theology/annihilationist.pdf (accessed August 17th, 2015).5Rethinking Hell Podcast, Episode 7. The goal in this article is to set the stage for those who are interested in conditionalism and would want to read further about this passage. For many traditionalists, I imagine this passage is a big reason to deny annihilation and hold to the traditional view of final punishment. This was certainly the case for me. And although this article is not meant to be the full explanation and defense of my conditionalist interpretation of Revelation 20:10, it will nonetheless present a number of points worth considering. After all, other than for its use in proving the doctrine of eternal torment, how often is Revelation 20:10 ever really cited or looked at for anything? A number of factors that you might not have ever even had reason to think of will come into play. This verse doesn’t stand alone, but is part of a larger scene, and remembering this can change everything. Before we go on, we should acknowledge the view, which I call “partial conditionalism,” that states that this passage does speak of the eternal torment of the devil and (usually) beings represented by the beast and false prophet. Unsaved humans are not mentioned in this passage, and are ultimately destroyed, but some beings in the universe will be subject to eternal torment. With this view, no explanation is needed as to how Revelation 20:10 could be compatible with annihilation, because it isn’t. Those whom the passage speak of as being tormented for ever and ever are in fact tormented for ever and ever. More discussion would be necessary, though, to give further detail, and, more importantly, to defend this view against various arguments against it. I have never held this view or sought to defend it, and so there isn’t much more for me to say here. Why shouldn’t we take Revelation 20:10 as a straightforward text that teaches that, at the very least, the devil will be tormented day and night for ever and ever? Well, aside from the case that can be made from the rest of the Bible for annihilationism,6Some also argue that the fate of humans isn’t even separable from that of the devil, and that if this passage proves eternal torment for anyone, it proves it for all who oppose God. there are a number of questions that one must ask, and a number of points to consider, about what is going on in this particular passage itself. – How literally are we to take something that John sees in his vision? After all, earlier he saw a woman dressed with the sun and chased by a dragon (12:1-4), a monster with seven heads taking over the world and being worshiped by people (13:1-4), stars falling into multiple bodies of water (8:10-11), a resurrected lamb with seven eyes (5:6), and many more highly symbolic images.7For more on the ubiquitous use of symbolic imagery in Revelation, see Chris Date’s “Annihilation in Revelation” Part 1 and Part 2. – How literal is the lake of fire? Presumably, a literal lake of burning sulfur couldn’t affect a spiritual being like the devil. Furthermore, how literal can we really expect this lake to be when the abstract entity of death is thrown in, as is the clearly symbolic beast?8See Revelation 17:7-18 for more on the symbolism of the beast. – If the lake of fire is symbolic, what is it symbolic for? – If the lake of fire is symbolic, why must we assume that the statement “they will be tormented day and night for ever and ever” is not also part of the symbolism? After all, the scene takes place in a symbolic lake of fire, so why must the reference to torment refer to a literal event to occur in real life?9William Robert West (Westbow 2011), 439. – What about when death is thrown into the lake of fire? What happens to death in real life? It is taken for granted that the devil, beast, and false prophet are tormented for eternity for real life because Revelation 20:10 shows the three being thrown into a lake of fire and condemned to eternal torment in John’s vision. But death is thrown into the same lake of fire just four verses later. Is death tormented for eternity? How could that even be? But if death is not tormented for eternity in real life, yet it is thrown into the lake of fire, what does that say about what it means in real life to be thrown into the lake of fire within John’s vision?10The one out a traditionalist would have here is to say that, in real life, death is a living creature that will be tormented day and night for ever and ever. That said, I can’t imagine most traditionalists would be willing to make that argument in any serious manner. – Does the beast even represent a person who can be tormented for eternity? Some argue that the beast really is symbolic not of a person or a demonic being, but an entire kingdom (or even an abstract entity).11For example, see Peoples, “Why I Am an Annihilationist,” 41-42. If the latter, how could eternal torment make sense in real life? Given the ubiquity of Old Testament imagery in the book of Revelation, Daniel 7 plays a big role in interpreting who/what the beast of Revelation is. And Daniel also shows us a fate that is not compatible with eternal torment. – If the beast is not a person who can be tormented, but is shown as tormented in Revelation 20:10, what does that mean for the fate of the three beings seen in Revelation 20:10? The nature of the beast is especially important because if the beast represents something that cannot be subject to eternal torment in real life, then the whole case for traditionalism from this passage falls apart. Even though the devil is a real living being who could theoretically be tormented, it would not matter to understanding the passage. The beast is subject to eternal torment in the vision, but what it represents in real life is not an individual able to be tormented (and what could be its fate but destruction?). In the same words of the same sentence, the devil and false prophet are said to suffer the same exact symbolic fate. Why should their real-life fate be any different from whatever the beast represents? – What is to be made of the connection between torment and destruction that we see with the symbolic whore of Babylon in Revelation 18? The city that she represents is destroyed, yet multiple mentions are made of the torment of the symbolic woman (18:7, 16).12There is not a perfect correspondence to the whore of Babylon and the devil, beast, and false prophet, since they are said to be tormented forever, and there is reason to believe that the symbolic woman at some point dies, in light of Revelation 17:16. If this were not the case, and she were said to be eternally tormented, it would make my job a lot easier, but the Bible says what it says. Nevertheless, it is noteworthy that in this highly symbolic context, we see a connection made between the torment of a personalized symbol and the destruction of the entity (in this case a city) that the symbol represents. – Should the vision in Revelation 20:10 really define the angel’s earlier declaration in Revelation 17:11 that what the beast represents is headed for “destruction,” or should we take the opposite approach? In Revelation 17:11, an angel explains the meaning of the beast to John, and says that it is headed for destruction.13For an explanation of why calling the beast a “king” is still consistent with the beast representing a kingdom and not a tormentable individual, see Dear, Section XIII, Subsection J, Page 154. Some could argue that in light of Revelation 20:10, “destruction” in Revelation 17:11 (and perhaps other parts of scripture) must be compatible with eternal torment. Traditionalist scholar Robert Peterson, for example, does just that.14Robert Peterson, “The Case for Traditionalism,” Two Views of Hell: A Biblical and Theological Dialogue, by Edward Fudge and Robert Peterson (Intervarsity, 2000), 425. However, aside from the fact that the angel is not speaking of the beast that John sees in the vision but rather what that beast represents,15For the significance of this to related issues, see Dear, Section XL, Subsection I, Pages 425-427. one could argue that Peterson has it backwards. The vision that John sees in 20:10 is a symbolic vision. When the angel says that king(dom) that the beast represents is going to “destruction,” it is in an explanation of divine imagery (albeit a different vision). If anything, the explanation the angel gives, and its declaration of destruction, should influence how we interpret the symbolic vision of Revelation 20:10, and not the other way around. And what do we normally interpret “destruction” to mean? This is something we at least ought to consider. – If being cast into the lake of fire is called “the second death,” and the lake of fire is symbolic, would it not make sense to see the lake of fire as symbolic of the humans cast into the fire suffering death a second time?16For more on the second death and problems with common traditionalist conceptions of it, see Chris Date’s article on the topic here. – Being cast into the lake of fire is symbolic for ‘the second death“;17Some argue that the lake of fire does not symbolize the second death, but rather, “second death” means being cast into the lake of fire. Of course, this assumes that there is a literal lake of fire for “second death” to describe, and I will let the reader decide if they still think there is going to be a literal lake of fire for people (and the devil and death and hades) to burn in… what does this mean for all of the various things and beings that John sees thrown into the fire? Although only humans can properly be said to die a second time, if the lake of fire is symbolic of death for humans in real life, shouldn’t that shed some light on what being cast into the lake of fire really means for all involved? Does This Sound Overly Complex? I understand how this can all sound overly complex to a traditionalist. After all, in instances where one’s own view appears to be the simplest interpretation of Scripture, any attempt at giving an explanation by those who hold an opposing view is prone to sound like “verbal gymnastics” and avoiding a clear teaching. It’s a (twisted) theological variant of Occam’s razor that we all run up against at one time or another. However, the points I have raised and the questions I have asked above should make a fair-minded reader question just how clear and simple any traditionalist view of this verse is. There is a lot of messy stuff happening in this passage. You have symbolic entities like the beast and false prophet. You have images of a real, personal entities (the devil, as well as the people cast into the lake of fire in verse 15). You also have the abstract entities of death and hades. And all of these entities are shown thrown into the same lake of fire! Beyond that, all of this is wrapped up in apocalyptic symbolism and the Old Testament imagery and prophecies which it draws from. And all of this is then wrapped up in what is, at least for us today, the most complex and difficult book of the Bible to interpret with any certainty. Both the traditionalist interpretation and the conditionalist interpetation require the interpreter to put all the pieces together like a puzzle, and as I have only hinted above, putting all the pieces together for the traditional view is hardly simple and straightforward. Does It Seem Absurd to Say that Eternal Torment Could Represent Annihilation? If it seems absurd to suggest that eternal torment in a vision might be symbolic of destruction in real life, then I must counter with the following: why is it not absurd to see the many passages that warn of death and destruction and burning up as actually symbolizing eternal torment? Traditionalists in glass houses should not throw stones. Conditionalists have this one problem passage. In one passage, describing an unabashedly symbolic vision of monsters in a lake of molten sulfur, we have to deal with a symbolic description of final punishment that seems contradictory to what we believe actually happens. But if it is absurd that in one passage, in the book of Revelation of all places, the Bible would use eternal torment to symbolize destruction, then why is the traditionalist view not all the more ridiculous for saying that in many passages, death and destruction symbolize eternal torment? John Gerstner, Repent or Perish, (Soli deo Gloria, 1990), 121. Anyone who says that this passage is describing eternal torment needs to explain how a scene of corpses, being eaten by worms and fires (which are normally consuming agents), is somehow symbolic of sentient beings (the opposite of corpses) living in a state of suffering but never actually being consumed by anything. Just think about that. Aside from numerous passages that are translated as “destruction” and “destroy” (and use words that mean those very things), imagery and even straightforward descriptions of the unsaved are given that are contrary to the doctrine of eternal torment. Malachi describes the end of the world where God consumes the wicked in fire (Malachi 4:1-3), leaving neither root nor branch but only ashes under the feet of the redeemed. Peter describes the incineration of Sodom and Gomorrah as an example of what comes to the ungodly (2 Peter 2:6). 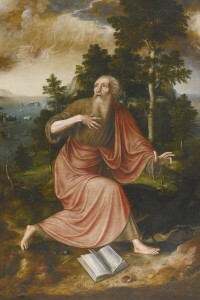 Jesus, in explaining the meaning of a parable (and not in the parable itself), describes the fate of the unsaved as being burned up like weeds (Matthew 13:40) – not unlike John the Baptist in Matthew 3:12.25Although some do consider Matthew 3:12 as referring to the fall of Jerusalem and not final judgment. And despite the unfortunate and counterintuitive idea of “spiritual death” as a conscious, living state of separation from God, death on its face certainly isn’t anything like eternal torment. We know what death is and what it looks like. If using eternal torment in one highly symbolic place to symbolize death and destruction is absurd, why does no one bat an eyelash at the traditionalist claim that the Bible authors warn of “death” in numerous non-symbolic places as a Bible-specific metaphor for a state where one never actually dies?29I suppose one might argue that no metaphor or symbolism is being used when “death” is equated to separation from God, and that in the Bible, death just simply and literally means “separation.” Although addressing that claim would take up more space than we have (I have addressed it before, however), one must wonder how legitimate it is to say that you are not being symbolic or metaphorical when you say that a word has a special, Bible-specific meaning that literally contradicts how it is normally used. After all, if you said a person was dead, the idea that they were conscious and able to feel pain would hardly be what comes to mind!30For more on the twisting of language in regard to “death” and “life, see Chris Date’s article “Obfuscating Traditionalism: no Eternal Life in Hell?“31For an interesting look at how even traditionalists usually are aware that eternal torment requires one to continue living (as well as have immortality, not be destroyed, never die, etc. ), see Episode 58 with guest contributor Ronnie Demler. I am not necessarily saying that this all disproves the doctrine of eternal torment; that would be a much more extensive discussion. But if it is unreasonable to suggest that in one passage, in the context of apocalyptic imagery and vivid symbols, eternal torment might be symbolic of annihilation, how is it reasonable to say that every passage that speaks of things we would normally associate with annihilation actually means eternal torment? If in didactic teachings “death” really means “being alive,” if being reduced to ash is symbolic of a totally conscious state, if burning like weeds that immediately disintegrate means being in fire in pain but never actually burning up,32Or for many traditionalists today, if burning like weeds that immediately disintegrate means not burning and never disintegrating…I have written about that topic as well. and if “destruction” means ruin but in a state of not actually having been destroyed, then it is hardly a worthy response to my conditionalist interpretation that it is grasping at straws to say that eternal torment in a symbolic vision might ultimately mean annihilation! At some point, both traditionalists and conditionalists have to interpret some descriptions of hell as speaking of a fate that is very different from what is immediately presented to the reader. In our case, conditionalists just have to do it less often. In all areas of theology, not just the topic of hell, things can seem so simple and clear until one looks deeper. It seems to me that the more deeply entrenched a tradition is, the more this seems to be the case. And the traditional view of hell, as a place of eternal life in a state of misery for the unsaved is, in the twenty-first century, one of the most deeply entrenched traditions of all. And so we see this principle play out in this discussion. It seems easy to point to “tormented day and night for ever and ever” as proof of eternal torment – until one starts looking deeper and sees all the challenging factors of Revelation 20:10 (of which we have only scratched the surface). It seems so easy to write off the idea that scripture would ever use eternal torment to symbolize the contradictory fate of annihilation – until one starts looking deeper and thinks about what words and images traditionalists must interpret as not literal or not straight-forward. I certainly can’t blame someone for finding Revelation 20:10 to be quite convincing upon first glance. For me, it was possibly the most significant stumbling block to accepting annihilationism – until someone pointed out that it wasn’t so simple. Theology, even when it is true and correct, is not always straightforward. This is especially true when it comes to a doctrine that many of us were taught as far back as we can remember. And that is okay. It can be a bit scary, but it is okay. You don’t have to give up your entire sense of orthodoxy in order to keep an open mind and to understand that not everything that seems so simple really is. You just have to be willing to sometimes rethink things – even if that means rethinking hell. 1. ￪ Some would point to Revelation 14:9-11 as being equally or more difficult. However, this is only true if one is not aware of Isaiah 34:9-10. Revelation 14:9-11 doesn’t actually say anyone is eternally tormented. Rather it is inferred that smoke rising forever means that the fire burns forever and thus everyone being burned is eternally tormented in an ever-burning fire. However, Isaiah 34:10 uses the idiom of smoke rising forever to speak of the destruction of a city, not of anyone or anything actually burning and producing smoke. The resources in the footnotes for Revelation 20:10 can also give more explanation of this passage. 2. ￪ Joseph Dear. The Bible Teaches Annihilationism (n.d.), http://www.3ringbinder.org/uploads/1/9/1/0/1910989/the_bible_teaches_annihilationism_1st_edition_pdf_version.pdf (accessed on December 19, 2015). 4. 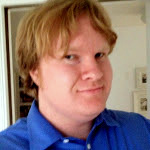 ￪ Glenn Peoples, “Why I Am an Annihilationist,” Right Reason, n.d., http://www.rightreason.org/articles/theology/annihilationist.pdf (accessed August 17th, 2015). 5. ￪ Rethinking Hell Podcast, Episode 7. 6. ￪ Some also argue that the fate of humans isn’t even separable from that of the devil, and that if this passage proves eternal torment for anyone, it proves it for all who oppose God. 7. ￪ For more on the ubiquitous use of symbolic imagery in Revelation, see Chris Date’s “Annihilation in Revelation” Part 1 and Part 2. 8. ￪ See Revelation 17:7-18 for more on the symbolism of the beast. 9. ￪ William Robert West (Westbow 2011), 439. 10. ￪ The one out a traditionalist would have here is to say that, in real life, death is a living creature that will be tormented day and night for ever and ever. That said, I can’t imagine most traditionalists would be willing to make that argument in any serious manner. 11. ￪ For example, see Peoples, “Why I Am an Annihilationist,” 41-42. 12. ￪ There is not a perfect correspondence to the whore of Babylon and the devil, beast, and false prophet, since they are said to be tormented forever, and there is reason to believe that the symbolic woman at some point dies, in light of Revelation 17:16. If this were not the case, and she were said to be eternally tormented, it would make my job a lot easier, but the Bible says what it says. Nevertheless, it is noteworthy that in this highly symbolic context, we see a connection made between the torment of a personalized symbol and the destruction of the entity (in this case a city) that the symbol represents. 13. ￪ For an explanation of why calling the beast a “king” is still consistent with the beast representing a kingdom and not a tormentable individual, see Dear, Section XIII, Subsection J, Page 154. 14. ￪ Robert Peterson, “The Case for Traditionalism,” Two Views of Hell: A Biblical and Theological Dialogue, by Edward Fudge and Robert Peterson (Intervarsity, 2000), 425. 15. ￪ For the significance of this to related issues, see Dear, Section XL, Subsection I, Pages 425-427. 16. ￪ For more on the second death and problems with common traditionalist conceptions of it, see Chris Date’s article on the topic here. 18. ￪ For this reason, some traditionalists may argue that the passage is not speaking of hell at all, which is at least a valid option. 19. ￪ John Gill, “Commentary on Isaiah 66:24,” The New John Gill Exposition of the Entire Bible (1999), reproduced at Studylight.org Commentaries, n.d., http://www.studylight.org/commentaries/geb/view.cgi?bk=22&ch=66 (accessed December 19, 2015). John Blanchard, Whatever Happened to Hell, (EP books, 2014), kindle edition, location 2507. 21. ￪ Robert Peterson, Hell on Trial (P&R, 1995), 32-33. 22. ￪ Christopher Morgan, “Biblical Theology: Three Pictures of Hell,” Hell under Fire (Zondervan, 2004), 137. 23. ￪ Bill Wiese, 23 minutes in Hell (Charisma house, 2006), 142. John Gerstner, Repent or Perish, (Soli deo Gloria, 1990), 121. 25. ￪ Although some do consider Matthew 3:12 as referring to the fall of Jerusalem and not final judgment. 26. ￪ Notwithstanding less literal translations that translate the Greek psuche as soul when convenient but do not do so here. 27. ￪ For more on why “angels” does not likely include the devil and demons in this context, see Dear, Section XXVIII, pages 328-331. 29. ￪ I suppose one might argue that no metaphor or symbolism is being used when “death” is equated to separation from God, and that in the Bible, death just simply and literally means “separation.” Although addressing that claim would take up more space than we have (I have addressed it before, however), one must wonder how legitimate it is to say that you are not being symbolic or metaphorical when you say that a word has a special, Bible-specific meaning that literally contradicts how it is normally used. After all, if you said a person was dead, the idea that they were conscious and able to feel pain would hardly be what comes to mind! 31. ￪ For an interesting look at how even traditionalists usually are aware that eternal torment requires one to continue living (as well as have immortality, not be destroyed, never die, etc. ), see Episode 58 with guest contributor Ronnie Demler. 32. ￪ Or for many traditionalists today, if burning like weeds that immediately disintegrate means not burning and never disintegrating…I have written about that topic as well.